In 1978, a group of students in discord with the pedagogic approach taken at the College of Art were aware that art was available to only a privileged few. They decided to set up “Populart”, an association aimed at designing another kind of urban environment. Its creators shared the same opinion, that the beautiful was lacking in disadvantaged neighbourhoods. 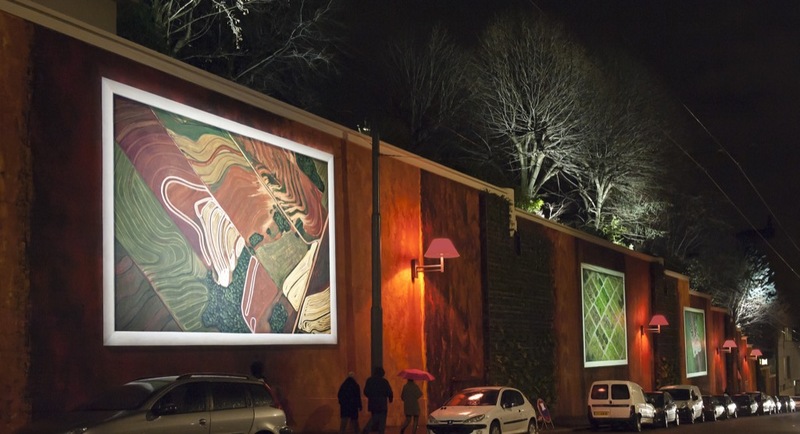 With their approach that combined art with urban planning, they decided to produce specific and unique murals with links to the history, culture, social life and identity of the places in which the murals are painted. They were to make urban aesthetics their area of action and give pride to the inhabitants of the neighbourhoods in which they intervened. They left for Mexico in 1983, on the occasion of a cultural dialogue between working class districts. Alongside Mexican artists in the bustling roads of the Tepito district, they learned to paint monumental mural paintings using elements and testimonies taken from daily life and impassioned conversations with the inhabitants. They returned to France six months later. After conducting initial experiments in isolated spaces, they worked in parallel in the more affluent districts of city centres and urban outskirts. Thus they invented an original craft, that of mural painter. In 1986, CitéCréation was founded in the form of a cooperative (cooperative and participatory company). 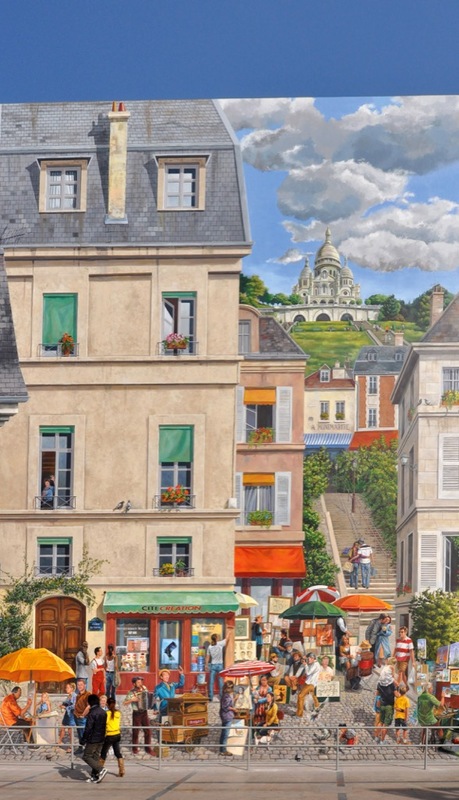 The mural painters produced emblematic mural works in the city centre, trompe-l’œil designs: “The wall of the Canuts”, “The Lyonnais mural” and others. Thus they created the first mural circuit. 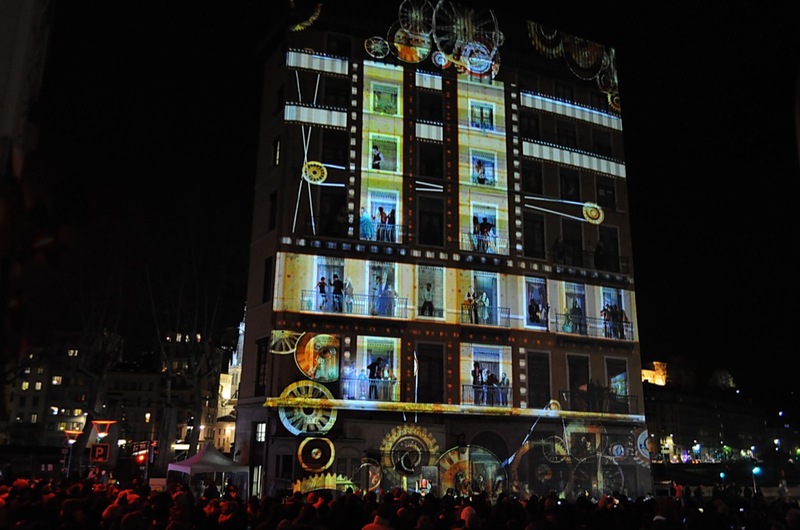 Lyon, the city in which they were installed, was to be the first to benefit. 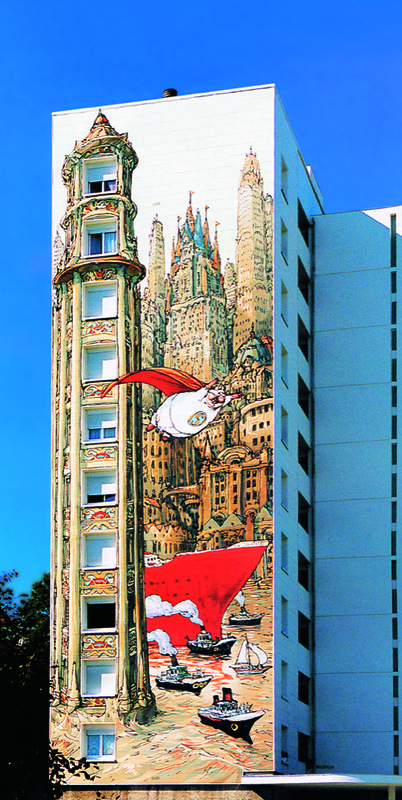 This circuit of monumental murals attracts several thousand visitors every year and was the third reason for visits to the city according to the Lyon Tourist Office. 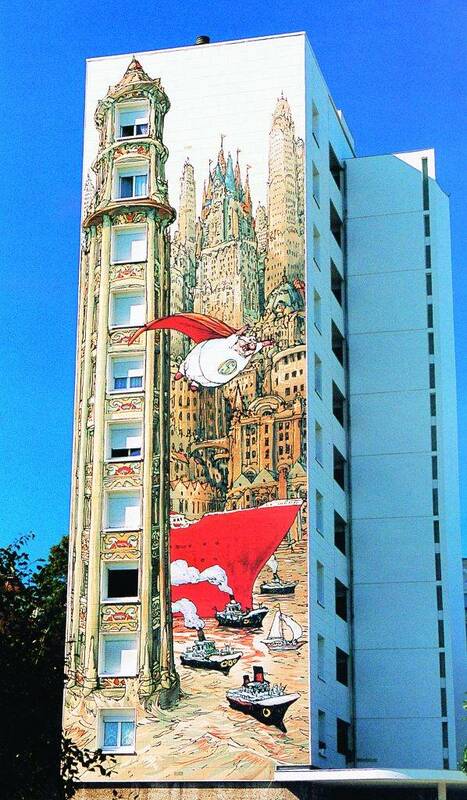 Other cities would experience the same enthusiasm with the mural circuits of Brest, Angoulême, and Québec and Mont-Joli in Canada. 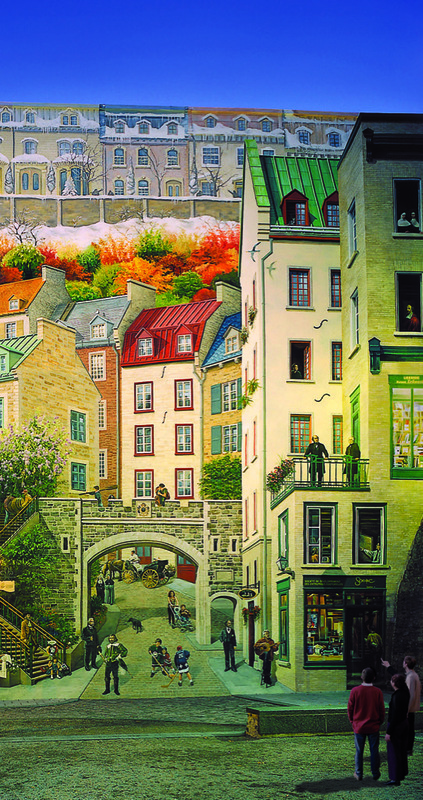 “The Québecois” mural, a trompe-l’œil painting, is now seen as a striking tourist attraction, with more than 2 million visitors a year. CitéCréation provides genuine added value to the city in terms of image and further strengthens its identity. In 1993, to integrate the aesthetic dimension in their environment, companies and industrial sites began to place their trust in CitéCréation to enhance and renew their image (the Paul Bocuse restaurant, EDF, SNCF, Arkema, Areva, Total, etc.). Shops, companies, and industrial groups can use high quality mural designs to project their image and integrate it in the landscape. This new monumental urban design offered by CitéCréation allows companies to become involved in the communities that surround them by setting the stage of their environment. From 2000 to 2004, CitéCréation’s two subsidiaries, MuraleCréation in Canada and DekorativeCity in Germany, helped it to develop internationally, riding on the recognition of its professionalism. Offices representing it were also opened in Jerusalem, Moscow and Shanghai. 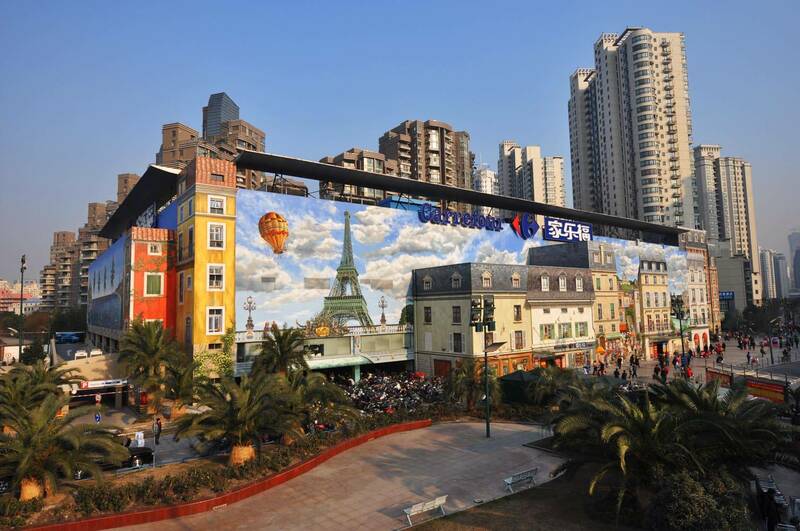 Its knowhow in mural design led CitéCréation and its subsidiaries to become world leaders in the field of mural painting. CitéCréation’s signature is now recognised in many countries, such as Sweden, Germany, Spain, Greece, Russia, Belgium, Austria, Israel, China, Japan, etc. 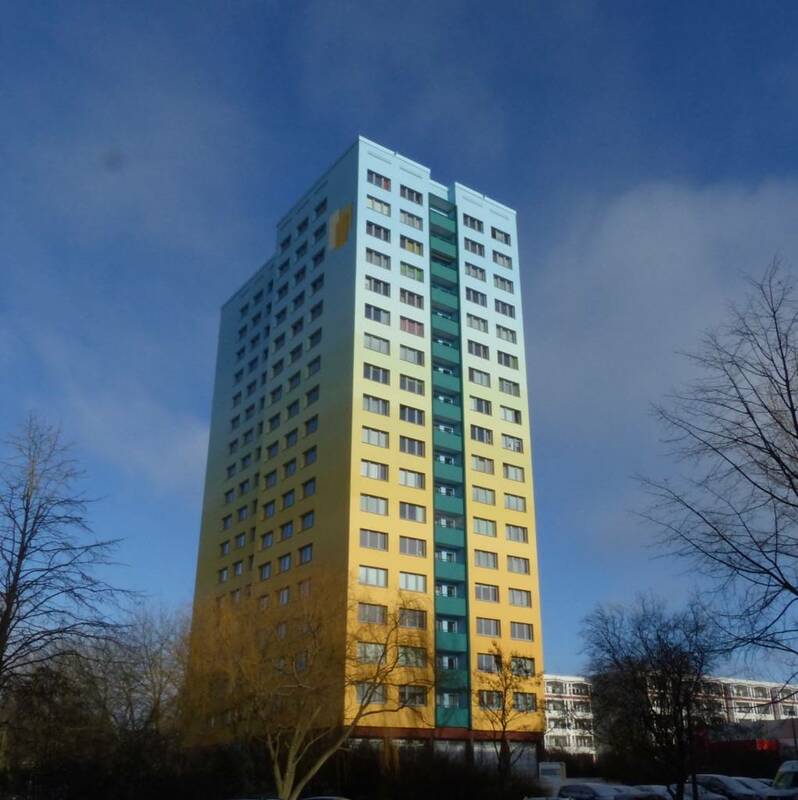 Thanks to the experience in Berlin starting in 1987, the concept of monumental mural design born in the districts of East Berlin, rocked the monotone and sad urban landscape resulting from the architectural heritage of the 1970s in Germany. 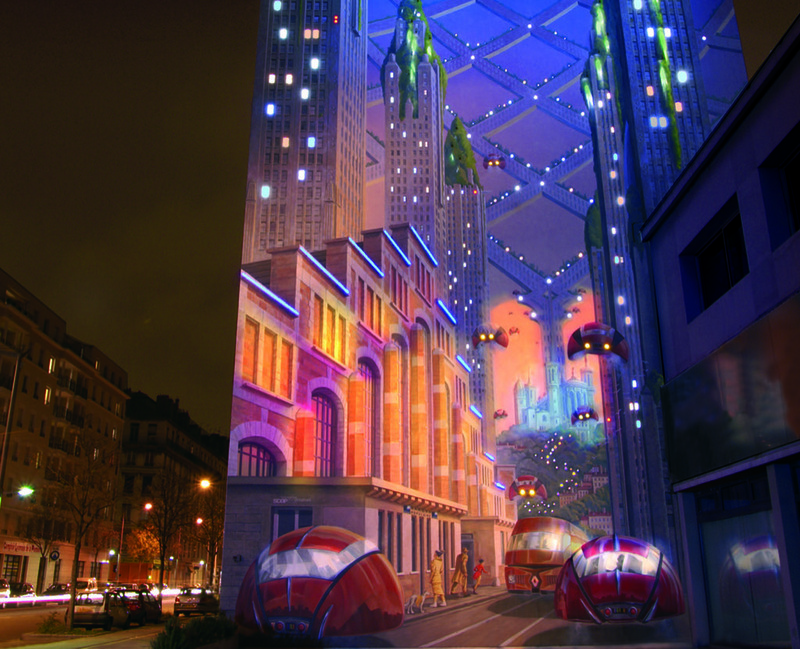 CitéCréation’s response was aided by the mobilisation of the residents and tenants who were at the front line to re-write the history of their environment by using monumental mural design as a new form of architectural expression for their buildings. Success was instantaneous and led to the production of ten monumental mural designs that are now considered references in Germany. 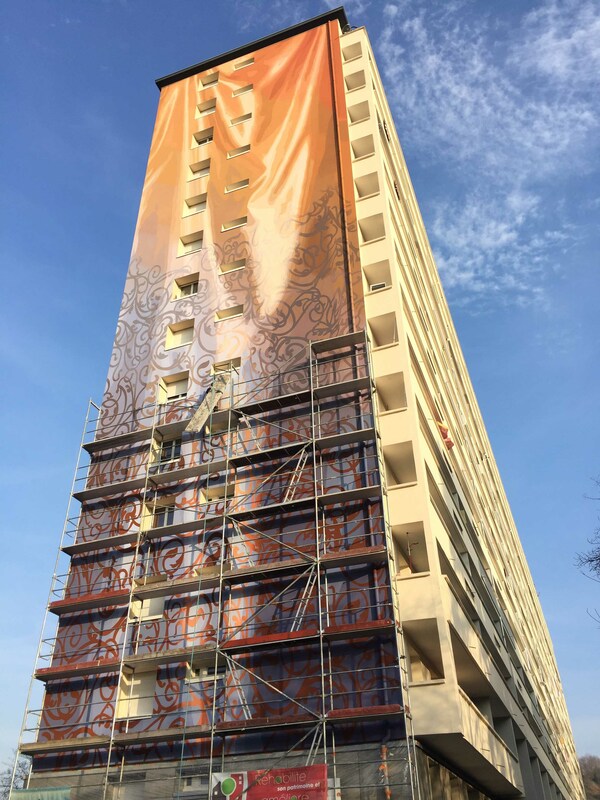 With 750 lasting projects produced all over the world on every type of facade and support, CitéCréation has diversified its productions and constantly given more body to aesthetic and technical innovation devoted to mural painting. A member of international think tanks dedicated to the challenges of embellishing buildings and to benchmarking new forms of urban narrative, the past few decades have witnessed the response of facades to treatment with plants, light, digital technology and a wide array of other innovations. Social innovation also plays an important role in our projects, and we take care to adapt our approach which combines joint creation and consultation applied to the latest relevant evolutions, with in particular the integration of participatory approaches on social networks that we manage and coordinate on behalf of the contracting owner. Our technical responses are of the highest quality and conform to European standards.